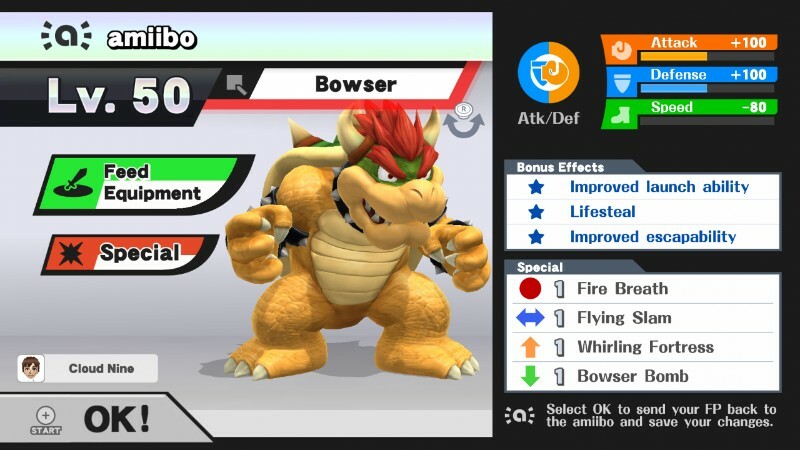 Bowser is one of the strongest amiibo available, and is considered a titan of the metagame. He’s a heavyweight fighter, and his resilience is nearly unmatched; his “Tough Guy” ability allows him to muscle through weak attacks (including Mr. Game & Watch’s jab and Ness’ down tilt) without flinching. 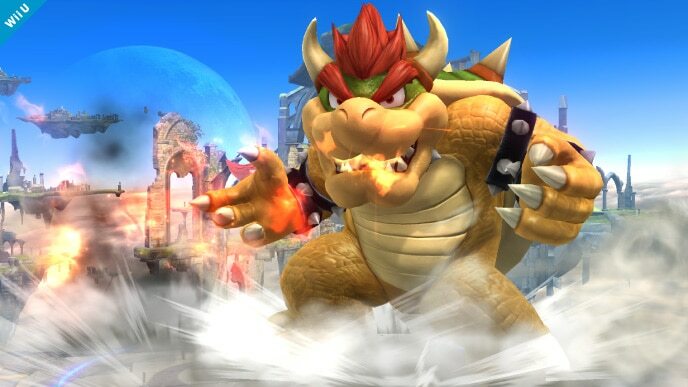 Bowser’s smash attacks are powerful, and can KO opponents ridiculously early. He’s also got a good set of tilts: his forward and down tilts come out fairly quickly and deal great damage to boot. Bowser’s most notable advantage, however, is his side special – Flying Slam – it’s by far and away the most versatile move in the game. Its power and speed are nearly unrivaled! Bowser has many promising strengths, but barely any flaws to balance them out. His AI can be a bit too jumpy, and may try its forward aerial at inappropriate times. His smash attacks have quite a bit of ending lag, and leave Bowser vulnerable if missed. Bowser is an absolutely lethal contender. He possesses many overwhelming strengths and only minor setbacks, which makes him fairly easy to train. 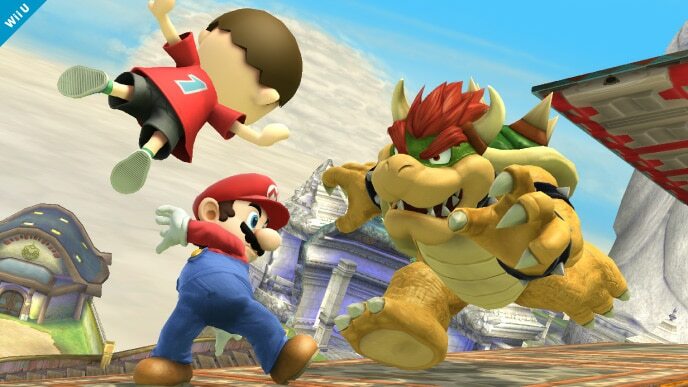 Ultimately, Bowser’s Flying Slam attack is his biggest claim to fame, and helps cement his role as a top-tier threat. Fire Shot: This is a custom move version of Bowser’s neutral special. It unleashes long-ranged projectiles that don’t need to be recharged. 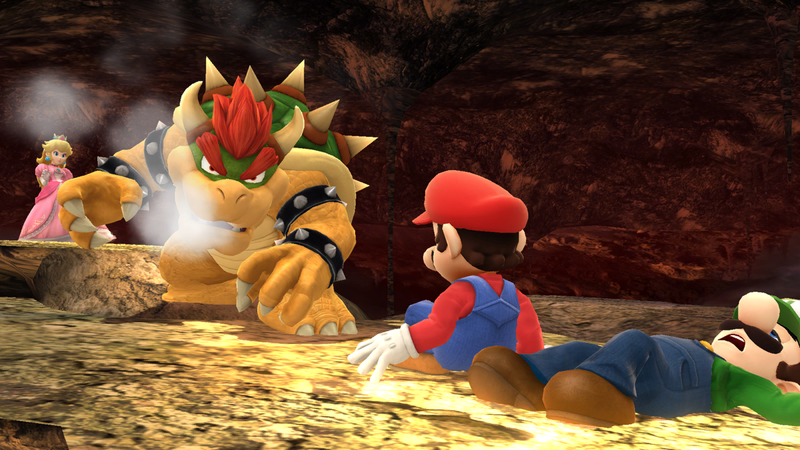 Fire Shot isn’t essential to Bowser’s success, but is certainly an option to consider. Neutral options: forward tilt, down tilt, and Flying Slam. Bowser’s forward and down tilt attacks are both strong and come out quick. As useful as they may be, Flying Slam should be your go-to. It’s arguably the single greatest move in the amiibo metagame, and its use is absolutely crucial to Bowser’s success. Main KO moves: forward smash and up smash. Bowser’s forward smash has considerable startup, but is extraordinarily powerful and can shatter a full shield. His up smash is generally more reliable, however, as its power and speed are more consistent. Flying Slam is capable of netting KOs as well. Thanks to Blue for compiling Bowser’s information. Images are courtesy of SmashWiki and the official Super Smash Bros. website.